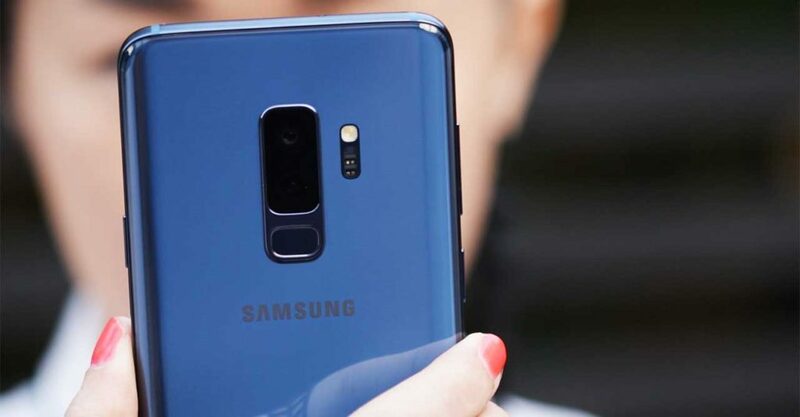 Now that the Huawei P20 and P20 Pro have been revealed, and almost ready to invade physical and virtual store shelves worldwide, it’s high time we compare these new top-of-the-line smartphones to Samsung’s best efforts to date. We’re talking about the Samsung Galaxy S9 and Galaxy S9+, of course, which were made official last month. Both are already available in most markets. 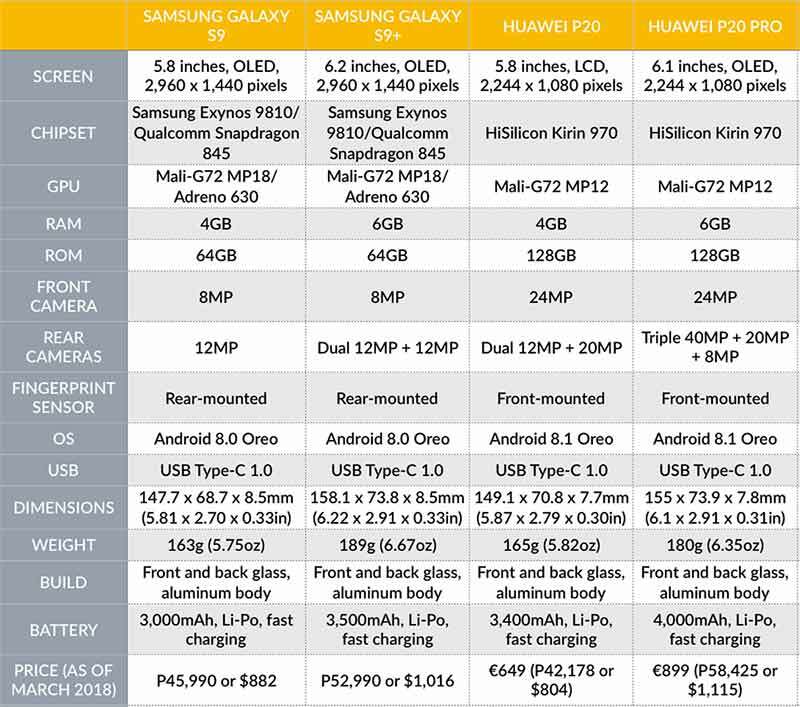 In the Philippines, the 64GB storage models of the S9 and S9+ are priced at P45,990 (approximately $882) and P52,990 ($1,016), respectively. Huawei has yet to reveal local pricing details for its mainstream flagships, but we do know how much you’ll pay to get the P20 and P20 Pro elsewhere. According to the company, the former retails at €649 (P42,178 or $804) and is available for purchase all across Europe. The more feature-rich Pro variant will cost €899 (P58,425 or $1,115) when it’s released in April 2018. The Samsung Galaxy S9+ incorporates a dual-aperture primary camera that captures images from f/2.4 or f/1.5 depending on lighting conditions. Just going over the specs, it’s clear that Samsung’s latest top-shelf phones are more equipped to handle water and dust, to IP68 standards. Not to mention their curved screens are layered with Corning Gorilla Glass 5. That is by far the toughest display glass the company has ever made. Those screens are of the Super AMOLED variety and cram in more pixels, with a resolution of 2,960 x 1,440. They support HDR content for mobile, as well as always-on functionality. If getting the best display for your money is important, Samsung wins. The panels don’t have a notch. You shouldn’t have a problem displaying full-screen apps in both portrait and landscape modes then. Support for notch displays will come with Android P, due later this year. Of course, if you simply prefer one without a cutout at the top, the Samsung Galaxy S9 and Galaxy S9+ are in the minority among flagship choices released in 2018. So there’s that to consider. Both variants are equipped with the Exynos 9810 processor, or the Qualcomm Snapdragon 845 if you live in the U.S. or China. 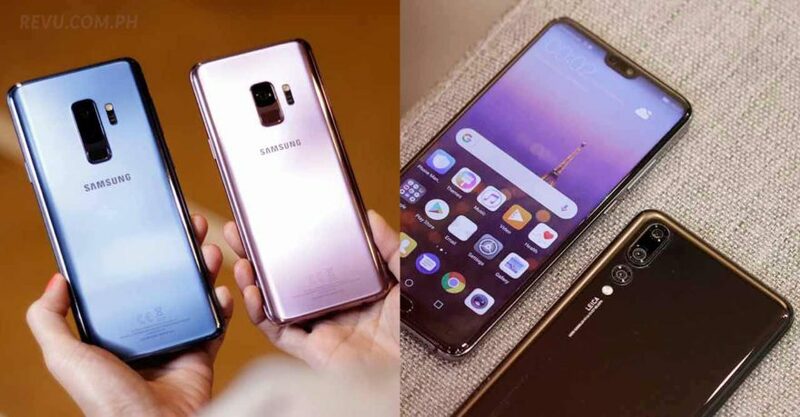 They come in memory configurations of 4GB RAM and 6GB RAM, with the Galaxy S9+ getting more RAM to eliminate potential performance hiccups. Either one will get serious work done, so don’t sweat the decision too much. Some people will prefer a different chip altogether, of course. The main attraction is found at the back. Samsung has designed a new camera system for the S9 line, incorporating a dual-aperture primary camera that captures images from f/2.4 or f/1.5 depending on lighting conditions. In low light, where most smartphone cameras struggle to generate bright and clear shots, the camera will automatically shift to the widest possible aperture setting to achieve better results. We’ve tested the cameras on the Galaxy S9 and S9+, and we must say they’re about as good as advertised. They’re incredibly accomplished — possibly even the best in the business when shooting in dim settings. The Huawei P20 Pro has a triple-camera system. Samsung’s Galaxy S9 and Galaxy S9+ have excellent cameras overall, but the Huawei P20 and P20 Pro may be second to none. And we’re not simply echoing the sentiment from camera-ratings website DxOMark when it declared the P20 series best-in-class for mobile photography. We’ve put the phones through their paces, taking pictures of pretty much anything we can aim a camera at during Huawei’s media briefing for the P20 and P20 Pro. Do note that the pictures we took are not necessarily representative of what they are capable of. We’re confident they can take even better shots outdoors or in spaces filled with natural lighting. The P20 Pro, which earned DxOMark’s highest-ever camera rating, should be able to take brighter, crisper shots with its triple-camera setup. 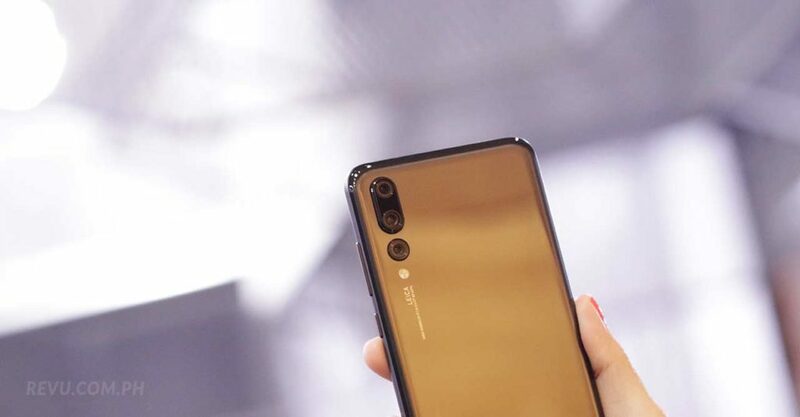 Huawei’s new phones can knock out most high-end competition when it comes to selfies as well. Their front shooters are rated at 24 megapixels and comparably sharper than the ones on the Samsung Galaxy S9 and S9+. Huawei does look like a real winner in this department at this juncture. However, we’ll reserve our judgment until we do a proper review using retail units. The Kirin 970 chip inside the P20 and P20 is not new at all. We’ve seen them before, powering Huawei’s Mate 10 and Mate 10 Pro from last year. It’s an excellent performance product. Superbly efficient, too. Without a side-by-side comparison, however, we’re not sure how it stacks up against the Exynos 9810 or Snapdragon 845 found in the S9 and S9+. Fitting a 4,000mAh battery inside the P20 Pro will certainly help keep the lights on longer between charges.